It might be all about the house and the bass at the sixth edition of the Vodacom presents DStv Delicious International Food and Music Festival but food, glorious food, also has a starring role when the two-day music and food fest takes place at the Kyalami Grand Prix Circuit in Midrand on 22 and 23 September 2018. Celebrated South African chef, restaurant owner and TV personality Reuben Riffelreturns by popular demand bringing his sensational Franschoek based restaurant “Reuben’s” together with Coca-Cola, to Johannesburg for two days only with a not-to-be-missed taste sensation of some of his fabulous signature dishes. His delectable menu features an immaculate balance of flavours with dishes such as cold smoked Franschhoek trout and guacamole with preserved lemon, saffron pickled cauliflower, nori, nuoc chum dressing, black bean puree, sesame seeds, pickled mustard, sweet-gochujang cucumber and crispy rice fritter. For mains there’s chargrilled beef fillet with sweet soy glaze accompanied by smoked bone marrow with salsa verde, barley & beef shin ragout, carrot-tarragon puree, umami mushroom and charged onion and dessert is passion fruit cheese cake accompanied by a gin poached peach, fruit & macadamia salsa and a berry macaroon. 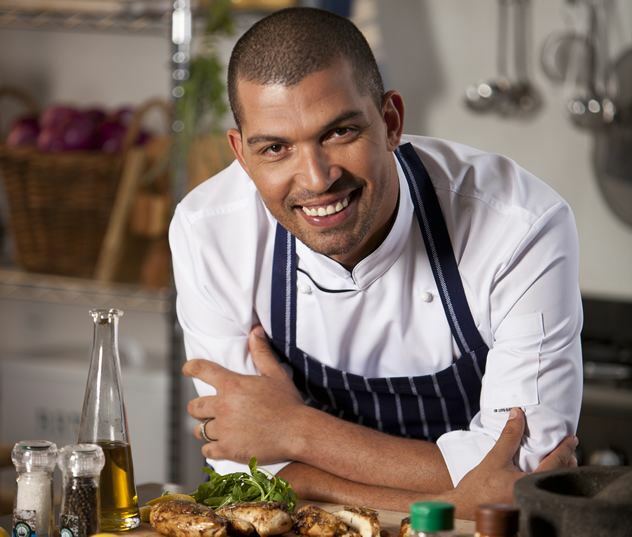 Reuben Riffel’s long-table restaurant (brought to you by Coca-Cola) includes a cash-bar where restaurant ticket holders can complement their meal with the perfect wines and beverages that will bring out the flavour profiles of the ingredients in the dishes. During the Heritage Day culinary weekend, festival fans can enjoy some of their favorite food market vendors under one roof on the Delicious Mile, the professionally curated gourmet street food market which is the best of its kind in South Africa. The gourmet street food market serves food from all over the world, prepared by slow food producers. Patrons can get a little taste of South Africa in Johannesburg, perfectly paired with the best music and drinks. Coke Food Fest is bringing 10 exciting traders to the Delicious Mile over Heritage Day weekend. “Coca-Cola runs the Coke Food Fest competition where food vendors nationally, are invited to enter their popular Coke and meal combos to compete in three meal categories- ‘on the go’, ‘traditional’ and ‘gourmet’ where they could win an opportunity to showcase their food at the Vodacom presents DStv Delicious International Food and Music festival” says Michelle Cloete, Marketing Manager at Coca-Cola. “Consumers can then vote for their favourite Coke Food Fest meal combo at their favourite participating outlet and could stand a chance to win a share of R500 000.00 in daily prizes and tickets to the Vodacom presents DStv Delicious International Food and Music Festival”. The main stage will be headlined by neo-soul icon Erykah Badu, New Zealand’s young soul singer and multi-instrumentalist Jordan Rakei, DJ collective, Jazzanova and the British acid jazz band D-Influence. Grammy Award winner Louie Vega leads the star-studded Vodacom Dance Arena hosted by Oskido and Kaya FM. New York born DJ Todd Terry and South African dance demigods DJ Christos, Vinny Da Vinci, DJ Oskido, DJ Fresh and Greg Maloka complete the music and dance line-up. The stage will open at 2pm on both days. DStv has been the key partner to the Delicious Festival since its inception. As the home of truly great international and local entertainment, Delicious is an opportunity for DStv to bring its content to life. Festival goers are treated to immersive and interactive experiences with some of their favourite channels such as Food Network, BBC, Travel Channel, kykNET and more. The Kids Zone is a key component of the festival, where DStv brings the children’s favourite TV characters to life. Tickets range from R280 for the Kids Zone passes for children between the ages of 3-13, to R1 450 to access The Delicious Lounge in association with Tanqueray and Johnnie Walker. Please see more information on the ticket offerings below. Delicious GA Passes start at R650, but you can get your Delicious Early Bird GA Pass for R550 today, until the sale period ends! Visit our website www.deliciousfestival.com to find out more about our ticket offerings powered by Howler.